Are Big Car Companies to Blame for Thousands of Accidents? As we all know, distracted driving is a huge problem with all of the new technology that has come out. You probably immediately think of smartphones, but there's a lot more distracting material out there that hasn't been put in the hot seat. For instance, all of the new technology being put into cars can be quite a distraction. There are high-tech audio systems, navigation systems, and even touch-screens that are like having a tablet right at your fingertips. Well, why are the car manufacturers allowed to get away with putting distracting technology in their vehicles? Just because of the sheer scale they operate on, couldn't they be responsible for thousands of accidents? All of us can admit distracted driving is not acceptable, and if our loved ones were being driven around by someone who was distracted we would be very upset, yet nine fatalities and one thousand injuries result every single day due to distracted driving. This doesn't only include texting and talking on the phone; infotainment systems put in by the car manufacturers play a huge role as well. When delving into the problem, there can be found an interesting study done by AAA. This study on distracted driving deals with the effect that infotainment systems have on a person's concentration while driving. AAA conducted some experiments to see how distracted people were becoming due to interaction with an assortment of infotainment systems. 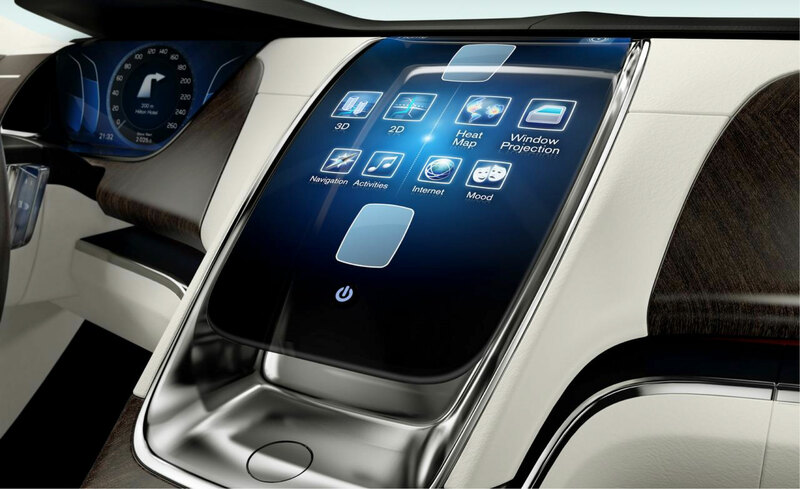 These systems included things like voice recognition and other interactive car technology such as navigation. The results of the study conclude that there is lowered focus and concentration in drivers who interacted with these systems. The important thing to note here is that these systems still allowed them to keep their eyes on the road and their hands on the steering wheel, but just interacting with these infotainment systems was enough to draw their minds off the road. AAA's goal in this study was to shed some light on the subject of distracting technology in vehicles to encourage the CDC and NHTSA to push for more strict regulations in road safety. A pretty common counter argument to car manufacturers making their vehicles more distracting is that they have introduced many new safety features that offset the dangerous levels of distraction. However, it has not been proven that the effects do offset, and evidence points to the distractions outweighing the benefits of safety features. It has also been argued that hands-off technology eliminates distraction, but AAA seems to have proven that interacting with these systems is enough to draw the mind off the road and distract the driver. If there's one thing that's for sure, it's that texting and driving is extremely dangerous. It is the #1 cause of death in teens in the US and causes them to be 23x more susceptible to an accident. So, if texting and driving causes so many accidents, it makes no sense to add more distractions, right? It looks that way with AAA finding that hands-off technology has ill-defined albeit real consequences that have an overall negative impact on traffic safety. Nowadays, many states will even give out traffic tickets for using your cell phone while driving. Therefore, if you are traveling, make sure you know which states prohibit the use of cell phones while driving, or you may just end up with a blemish on your driving record. If you do ever get a traffic ticket, you're not totally out of luck. A traffic school course can reduce your ticket fine and points and may even fully erase the violation off of your record. In the end, defensive driving involves concentrating on the road in front of you, so please, for your own sake and the safety of others, don't use distracting technology while driving.